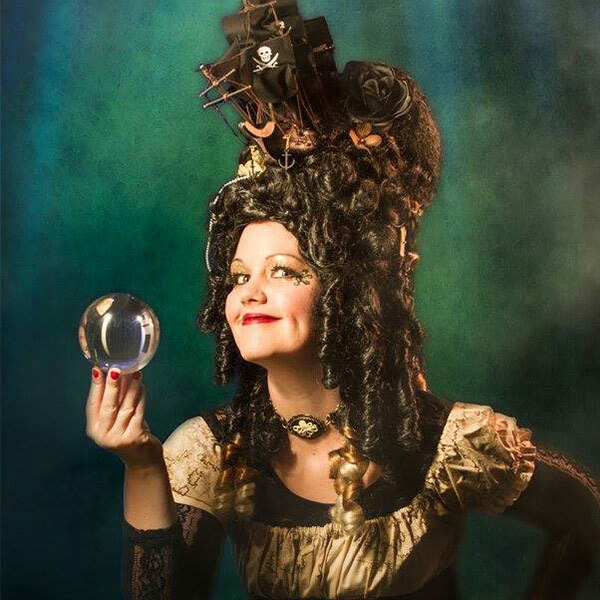 Madame Galleon was once a figurehead from one of the most infamous Pirate ships ever to sail the open seas. 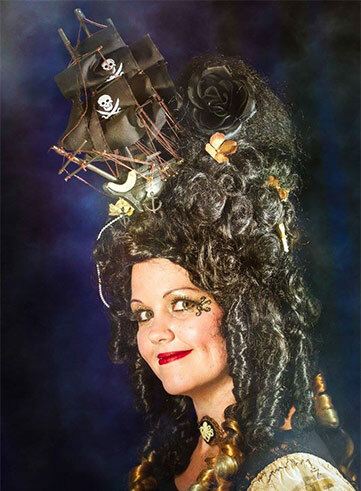 But after it was cursed by a furious Titan she was brought to life, the ship becoming her ‘figurehead’ and she now roams the world with her nautical magic. See her control and manipulate orbs of water, or are they bubbles from crashing waves? 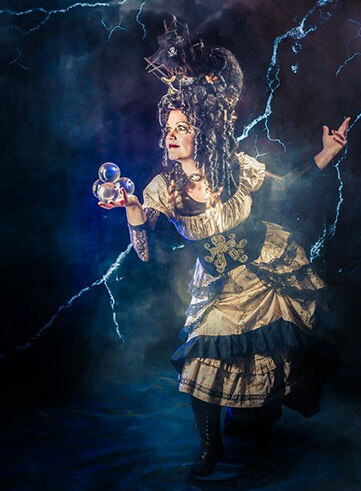 Watch as she mesmerises you with her magic whilst she looks for treasures to steal in memory of her old crew. 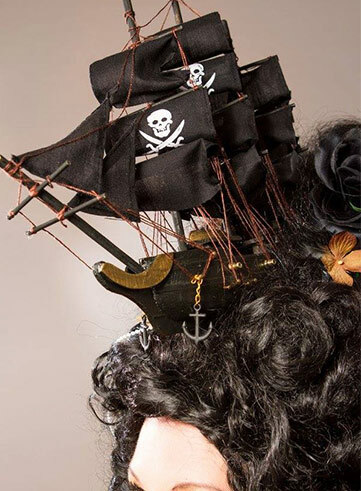 This spellbinding walkabout act is perfect for any sea or nautical theme. Bringing the rare and skilful art of contact juggling to a wider audience, this act will be a memorable and unique addition to any event.